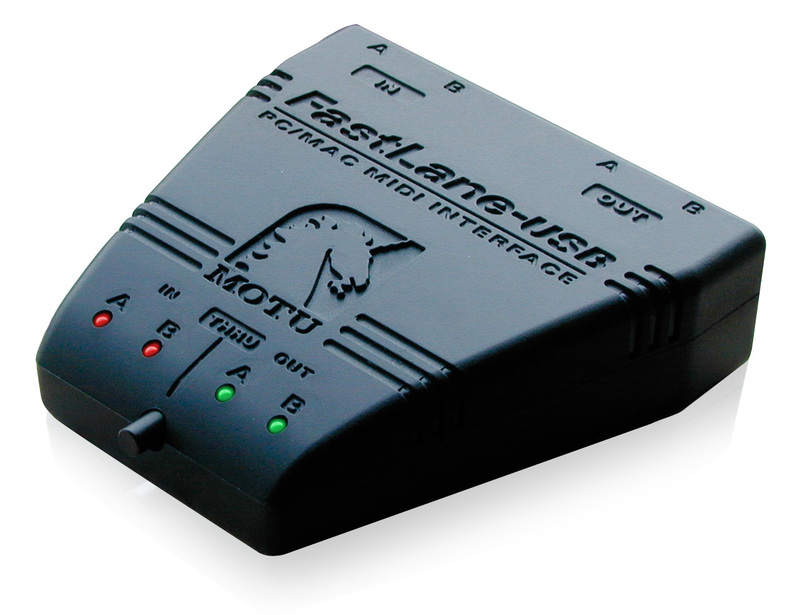 FastLane USB is a 2-in/2-out MIDI interface with MIDI thru ($79, compatible with Macintosh and Windows). FastLane takes full advantage of USB, giving you increased MIDI throughput, better timing accuracy, support for "hot-swapping" and plug-and-play expansion. Need to connect another sound module or synth? No problem. Just add another FastLane via a standard USB hub. Or mix and match FastLane with our other multi-port USB interfaces, such as the affordable 4-IN, 6-OUT micro express. FastLane is available in your choice of several colors, as well as classy basic black and charcoal. Check out some detailed pictures.